Kirks Folly has created a world of fantasy jewelry, home accessories and clothing that reflect the Kirks belief that "Dreams really do come true". The collection covers a wide spectrum of themes-from fantasy to romance to storybook legends. At the sight of these whimsical pieces, eyes light up and minds drift away to a world where fairies reign, mermaids splash and glowing stars grant wishes. This most enchanting realm has been christened "Fairyland" and Jenniefer Kirk leads the parade of magical characters as the Fairy Godmother. Helen, who had always loved ornate, glittery objects and displayed a natural gift for design, took a simple pair of chopsticks and made them into extraordinary hair ornaments by wrapping them with embroidery thread, and attaching shells, prisms, charms, and beads. Jenniefer was so impressed with Helens creations (which they named Glitter Sticks), that she began a campaign to sell them-and not just anywhere-but to the most celebrated department store in New York. Finally, after three months of calling, they were ushered in to see the buyer. The Glitter Sticks enchanted the buyer, and the sisters soon found themselves demonstrating the hair accessories to the stores customers, who couldnt scoop them up fast enough. The company's personal philosophy is, If you can dream it and believe it, you can do it. 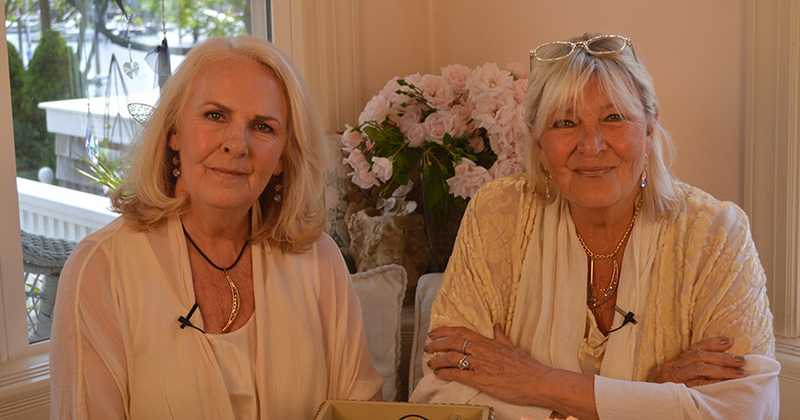 That dream carried them to QVC in 1992, when the young network decided to take a chance on the whimsical jewelry designs that were unlike anything else they offered. Though optimistic, the buyers werent sure how the audience would react to the fairy-tale and angelic-themed products presented during the hour-long show. They got their answer when everything sold out in only 40 minutes! The audience immediately embraced the captivating designs with a passion that continues to grow with every passing year. The QVC journey progressed to London, Germany, Italy and Japan. The original Kirks Folly closed in 2014 after 35 glorious years in business - however, Jenniefer and Helen did not take kindly to retirement and started designing and manufacturing again because they just couldn't stop! The most precious thing to them is their customers who have been loyal devotees since the very first day in 1979.